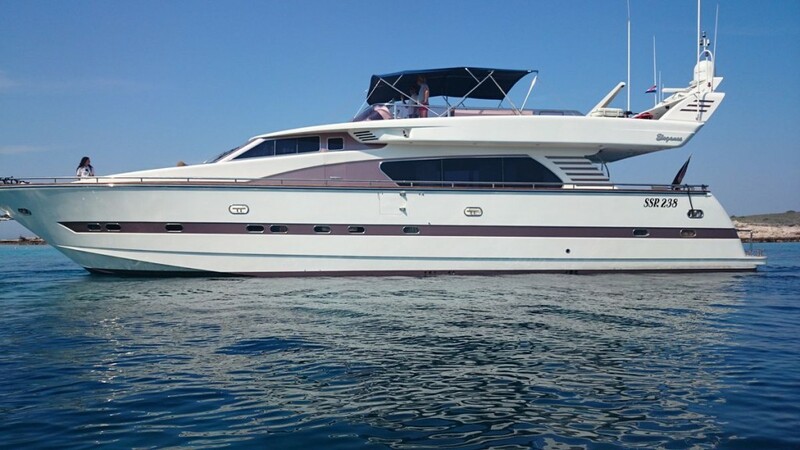 Our exclusive named motor yacht model „Elegance 76“ is the first choice for a unforgettable and relaxing leave. The luxury yacht is 76 feet long (23 meters) and brings the comfort of a swimming villa. 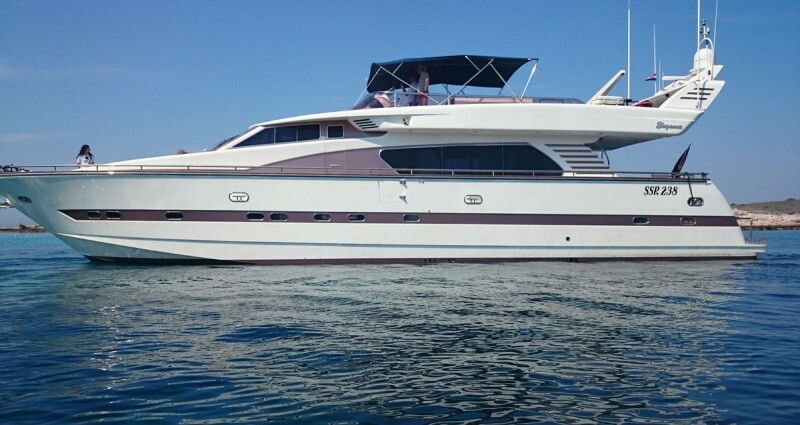 You can relax optional on the flybridge, at the brow, in the whirlpool or in the seat on the back, and enjoy the sensational island panorama of Croatia. Tours are also possible in the whole Adriatic sea (Italy, Slovenia, Montenegro, Greece). If you charter this exclusive motor yacht you have the decision about privacy, entertainment, sport, recovery and adventures. In short, you are your own tour-operator.